This Lemon Parmesan Sheet Chicken Recipe is one of the best recipes you will put on your family menu this week. Scroll down below for a printable version of Sheet Chicken and enjoy tonight! Before you get started! I hate when I do not have enough sheet pans to get dinner done. If you are like me, you get lazy from the night before and its still dirty! 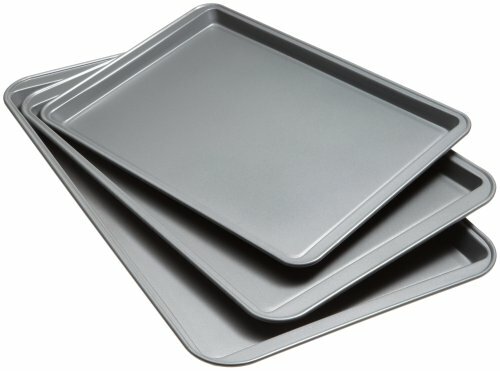 Pick up this set of 3 sheet pans and you can practically go a whole week without dishes and STILL cook dinner. 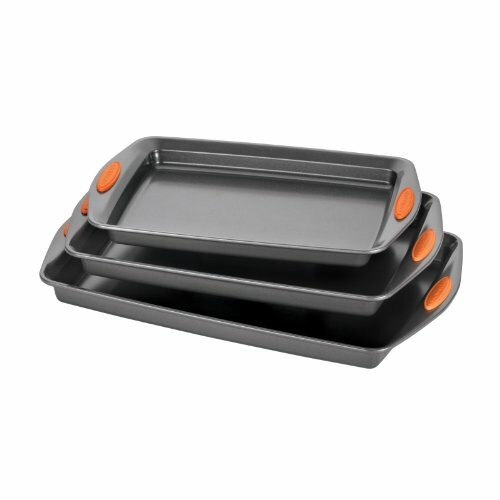 These Rachel Ray pans even have this awesome extra wide grip handles so you do not drop your dinner. If you want to get a printable version of this lemon Parmesan sheet chicken recipe, make sure you scroll below. Also, if this recipe is not what you were looking for, try this delicious number one recipe, pinned by over 500,000 people, Chicken Breast Recipe instead. I hope you enjoy! Spray a sheet pan or casserole dish with non-stick spray and set aside. In a bowl, whisk together the egg, lemon juice , garlic, parsley, salt and pepper. In a second bowl, combine the breadcrumbs and Parmesan . Dredge the chicken through the egg mixture and then through the breadcrumb mixture, coating evenly on both sides. Place chicken in baking tray/casserole dish and pour melted butter over top. Season the vegetables and then add to the casserole dish. Cover the dish with tinfoil . Bake for 20 minutes, then remove tinfoil and continue baking 5-10 more minutes, until chicken in golden brown and a thermometer inserted reads 165F. The vegetables should be fork-tender now, as well. In a bowl, whisk together the egg, lemon juice, garlic, parsley, salt and pepper. In a second bowl, combine the breadcrumbs and parmesan. Place chicken in baking tray/casserole dish and pour melted butter overtop. Cover the dish with tinfoil. Looking for more great chicken recipes to fill your week? 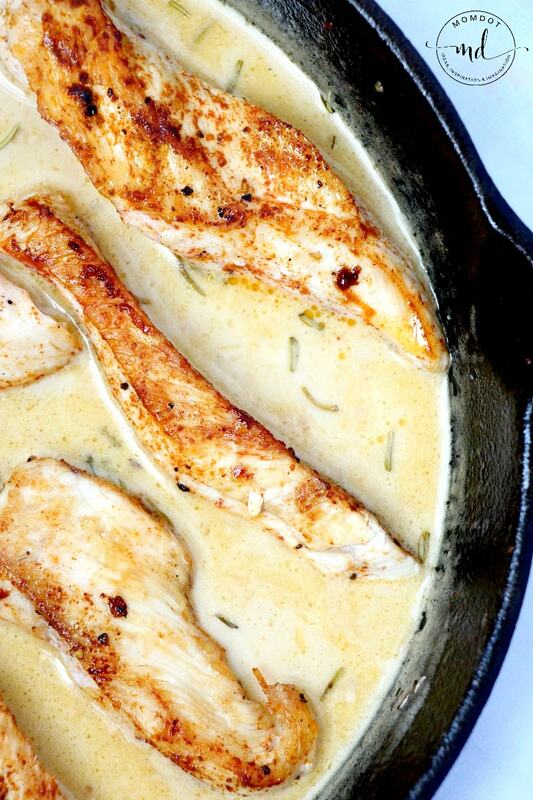 Try Lemon Butter Chicken by clicking below. « OREO Fails: You Can’t Win Them All!